Although having a computer on your desk or attached to your hip at all times is just a given now, in the grand scheme of things, the digital revolution is still a relatively new phenomena in human history. That being said, there's been a solid four decades of computer gaming now, with a whole generation of kids being raised having no clue what life was like before all the PC and console options. 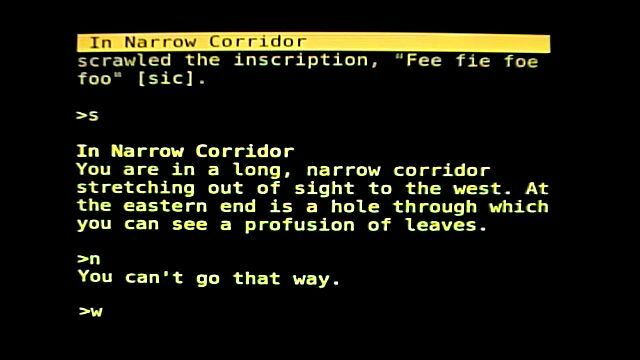 That's right -- the RPG genre kicked off 40 years back in 1976 with the text-based Colossal Cave Adventure (also known as just plain old Adventure). 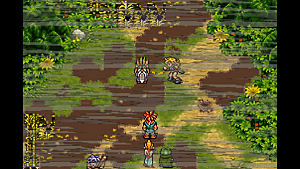 While the original game was the definition of a primitive text experience, with a user inputting short commands and seeing what happened, this classic title has been adapted and expanded many times in the intervening years (with some adding in limited imagery along the lines of early Wizardry games). Everything from Bard's Tale to the King's Quest series to much more recent iterations such as Necropolis or Dragon Age owe their existence (to some extent) to William Crowther taking up programming. 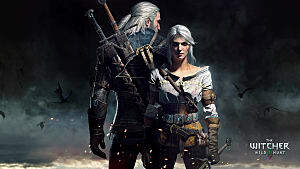 It could be argued that we'd never have western RPGs like The Witcher or ARPGs like Diablo if a dad who played D&D and enjoyed exploring caves hadn't decided to tinker around with programming so his kids would have something to play with. D&D is a critical name in the history of computer games, as digital RPGs mirrored the rise of tabletop gaming. Chainmail – the war game that would one day become Dungeons and Dragons – arrived all the way back in '71 and strongly influenced the programmer who would go on to create Adventure. While Gygax's name might be more widely known, Crowther's deserves to be said with as much reverence by modern day gamers. 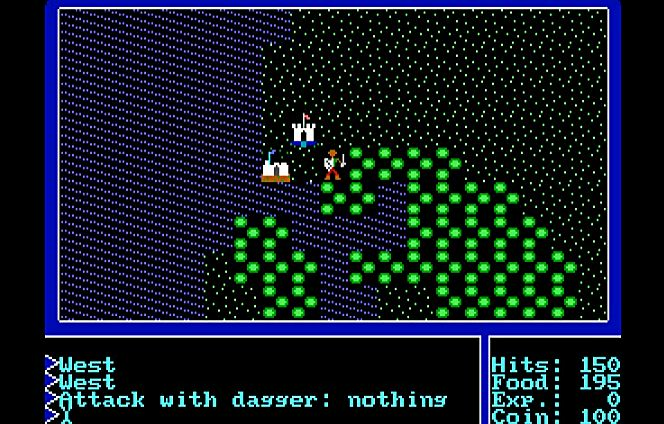 Evolution doesn't always mean there's no room for the original species to remain, and while gaming has gone way beyond typing "north" or "south" to move, text adventures continue to thrive with a staggering number of MUDs, MUSHs, and MUCKs still available online. Accessing the text-based MUD Shadowlands through Telnet was one of the earliest experiences I personally ever had with PC gaming. While it sadly appears to be dead and gone now, I'll never forget those memories of dual wielding sticky pacifiers picked up from the dwarven daycare and then slaughtering crystal spiders by the dozens to quickly level a new character. While there were a smattering of games in a similar style that predated it, Rogue is easily the most well known of the bunch and really the next stage in RPG evolution. 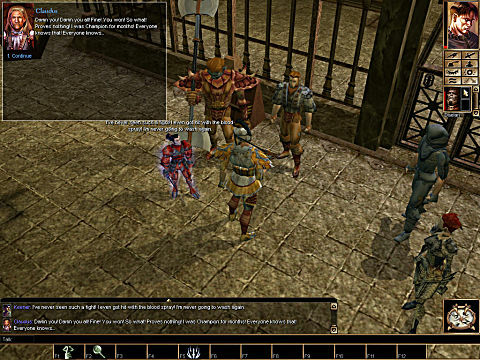 Although it had a map to move around, it could be argued Rogue was still very much a “text-based” game, as everything was “drawn” with regular old keyboard characters. Where it shined was in its entirely unforgiving nature - instituting one of the first instances of permadeath -- and an influential mechanic way ahead of its time: procedural generation of the game world. The next big jump took place with Richard Garriot and the start of the Ultima series, taking the ideas from the so-called Roguelike games and catapulting us from basic ASCII characters to... a bunch of dots saved in tile patterns! Seems simple and silly now, but this was kind of a big deal at the time, and led to the first dungeon crawlers like the Might and Magic series, Wizardry, Dungeon Master, and so on. 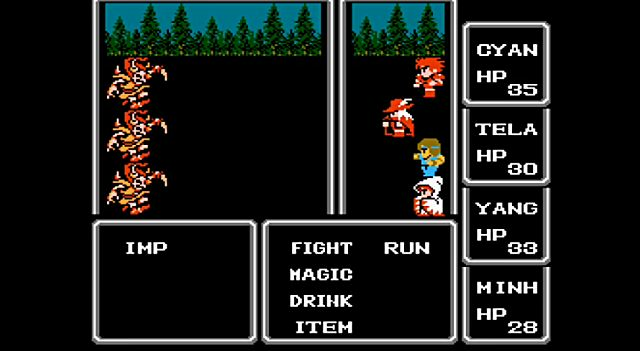 There were definitely earlier RPGs, but among the most notable events in console history was the original Final Fantasy coming to the NES. While the releases always lagged in North America, taking an extended period of time to make it over from Japan, there's no question this series had a huge impact on the popularity of RPGs around the world on the console front. While opinion will of course differ from fan to fan (and I'd be remiss if I didn't mention that the Sega Genesis had some very solid entries), this era of pre-3D RPG history is generally recognized as hitting its crescendo on the SNES with Chrono Trigger and Final Fantasy 6. Just simply chronicling the history of Final Fantasy is an article all its own, so for a more in-depth look there, check out our complete run down of the final fantasy series here. For computer enthusiasts in the '80s to early '90s, the Gold Box D&D games served the role filled by Final Fantasy on console, with Pool Of Radiance and its follow-ups absolutely dominating and inspiring a generation of game developers. 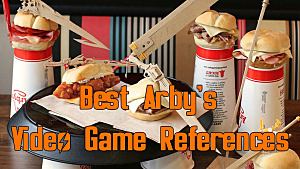 Frankly there's enough different games covering a huge range of styles pulling from the D&D ruleset throughout the years that multiple articles could be devoted to that series' history (in fact, we even once tried to undertake the mammoth task of ranking them all). The one major turning point in all that history that simply must be mentioned was when two medical doctors decided to switch careers and make the definitive D&D computer game experience, Baldur's Gate. Around the same time and making just as big a splash in a post-apocalyptic setting was of course the groundbreaking Fallout, which is still getting gamers all riled up for sequels nearly 20 years later. In the mean time while all this was going on, the MMORPG spin-off genre was taking faltering steps from Meridian 59 to Ultima Online. It wouldn't be until much later in 2004 that MMORPGs really hit their stride with the still-dominant phenomena that is World Of Warcraft. 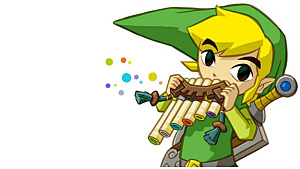 While massively multiplayers continue to be pumped out with surprising regularity, the player bases on older games has begun to bottom out, with some closing entirely. Sadly the genre is in a bit of a rut now and in need of shaking up. In the time just as consoles were switching from cartridges to CDs (actually pioneered by Sega, and not by the relative latecomer Playstation) there are a host of forgotten gems sadly hidden by the sands of time. Titles like Vay for the Sega CD and Albert Odyssey: Legend Of Eldean for the Sega Saturn were some of the true swan songs for pixel-based games, now long out of print and never re-released. 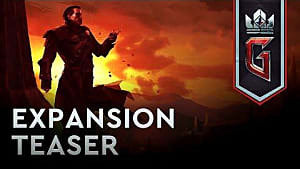 Advancing technology eventually allowed for huge leaps in graphical capability and a changing focus on the genre, with first person games like The Elder Scrolls III: Morrowind featuring massive game worlds. Of course the increase in graphics wasn't always matched with stories or characters on the same level, as the beautiful-but-vapid Neverwinter Nights can attest. 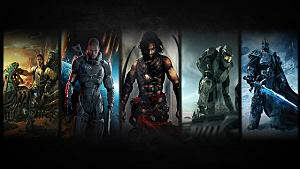 Springing from that point, the genre diverged into radically different directions, from sci-fi games like Knights Of The Old Republic to the kingdom-running Fable series and a slew of real-time or turn-based strategy games with heavy RPG elements. From there it was just a hop, skip, and a jump through to modern classics such as Skyrim or The Witcher 3: The Wild Hunt. 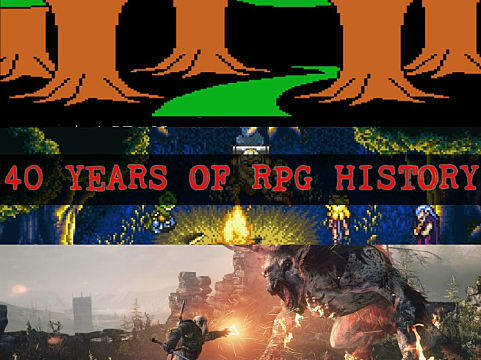 Perhaps in a backlash to those games with gorgeous graphics but a lack of personality and memorable characters, or maybe just out of a sense of nostalgia from an aging fan base, there's been a retro renaissance in RPGs this decade. Games that return to a bygone era - while still using certain modern elements - have dominated, especially due to the crowd funding revolution. Pillars Of Eternity, Wasteland 2, and Legend Of Grimrock are just a handful of critically acclaimed entries that evoke an earlier time in RPG history. Remember how D&D was such a huge name in early RPG history? That iconic name has now been eclipsed by Pathfinder, which dominates on the pen and paper front. 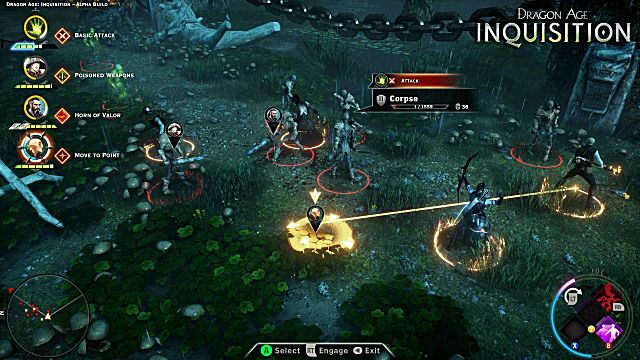 Unfortunately due to restrictions with the open game license and a doomed MMORPG that never got off the ground, Pathfinder has yet to make a dent on the digital gaming front, let alone dominate as its predecessor did. 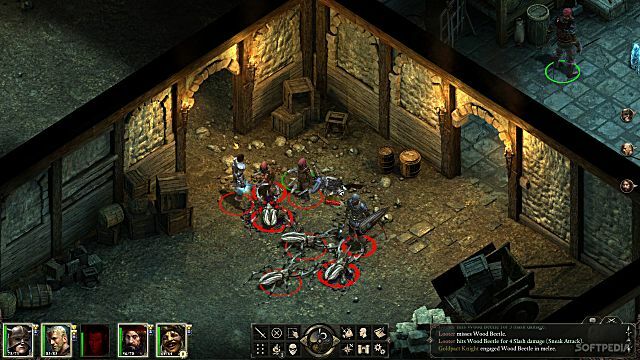 It remains to be seen if Paizo can have the same impact on computer gaming as TSR / Wizards Of The Coast managed to have. 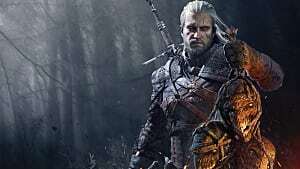 On PC and console, the genre has gone myriad directions over the last 40 years, from the classic JRPG to turn based strategy games to fast-paced action RPGs. While retro is dominant now, it won't be forever, with the next big innovation likely to be VR, potentially allowing for even more immersive roleplaying experiences than ever before. Where do you think the genre is set to go next, and what's your prediction for what will be the next big thing in role playing?